The Award in Barbados is fifty years old this year. Fifty years of giving young people the opportunity to give service to their communities, learn new skills, get fit and discover more about themselves as they work in small teams to undertake their adventurous journeys. Fifty years of equipping young people for life. 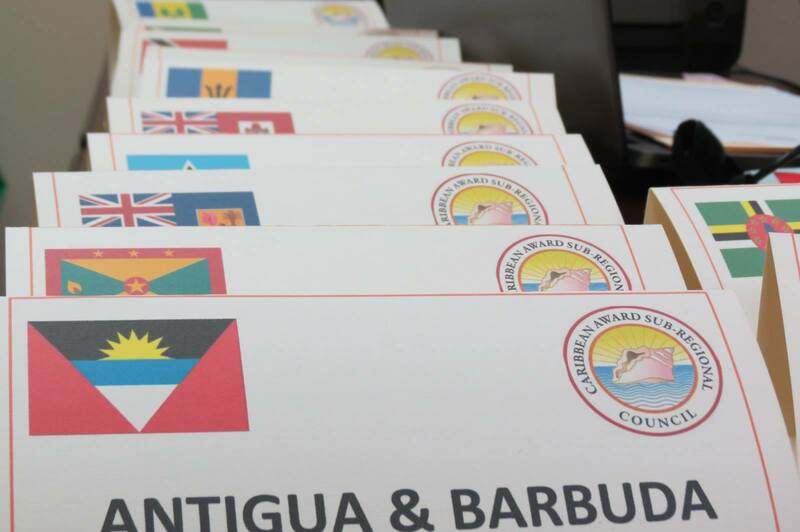 So it is fitting that, for the last three days, Barbados has hosted a conference for senior staff and volunteers from across the Americas, gathering together to plan for the growth of the Award in their countries so that it can reach many more young people. I was able to join their discussions and help lead a training course for people who were learning how to train new leaders. It was a privilege for me to spend time with such committed people, all wanting to make sure that as many young people as possible are able to benefit from the Award experience. As I write, I’m sitting in the departure lounge at the airport on the island, waiting to take the plane home to the UK. I have so many memories of the last few days: new national directors grappling with the basics of the Award framework; sitting in a computer laboratory at the Barbados Defence Force, being trained on our new online record book; discussing Belbin’s model for group dynamics and realising (not for the first time) that I will never, ever be a ‘completer finisher’, no matter how hard I try; an evening out, watching limited overs cricket at the famous Kensington Oval in Bridgetown as guests of the Award;s Chairman in Barbados, Dr Trevor Carmichael; the friendliness and hospitality of the staff at our hotel, who couldn’t do enough to make the conference run as efficiently as possible. But what sits most strongly in my mind at the moment is an informal discussion a few of us had this morning around the subject of promotion and PR. How can we help tell the story of the Award effectively, so that it stops being the ‘best kept secret in youth development worldwide’? We need to target our promotion activity. Young people need one sort of message; parents another; funders, another still. We should help participants tell the story of the impact of the Award, rather than getting our senior Board members to do so. Our brand is youthful and energetic so our story needs to be told by youth. We need to embrace social media. Facebook, Twitter – and whatever is coming next. We get a lot of media attention, but it all tends to be of Award ceremonies with pictures of people shaking hands and smiling at the camera. These ‘grip and grin’ shots don’t tell our story effectively. The Award is about doing stuff, not receiving certificates. Our new global brand will help us to tell our story better, but only if we live the spirit of the brand. We’re a global organisation that operates locally. Think Global, Act Local, could have been a slogan written for us. This last week has given us all much to think about. We now need to to transform our talk into action. In the Americas region, it’s clear that there’s a real willingness to do just that. I can’t wait to see what happens once everyone has got home. Next Post London Underground has a sense of humour.